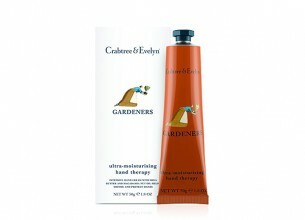 Lock in lashings of moisture with our award winning Gardeners ultra-moisturising Hand Therapy. Infused with macadamia nut oil and shea butter to strengthen hands against the elements, this intensive cream nourishes skin so it’s noticeably smoother after each luxurious application. Availability: Crabtree & Evelyn stores.